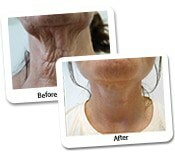 One week post mini facelift and liposuction of the neck and jowl's. 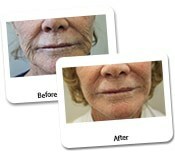 Patients considering a mini facelift require more information before having their procedure. The Dr Lanzer Clinic provides prospective patients with all the info they require before they come in for their consultation. 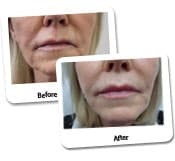 One of the ways we use to provide information is through a selection of before and after photographs, which are obtained from patients who had their mini facelift at the Dr Lanzer Clinic. 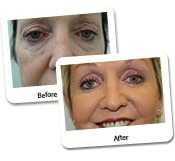 Patients can also find vital information about the mini facelift on various information pages. 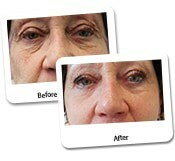 Below, we have also listed important information every patient must know before going ahead with a mini facelift. So, be sure to read on if you require more info before your consultation. 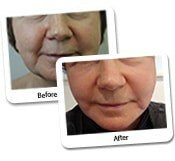 Which Technique Is Used to Execute the Mini Facelift? 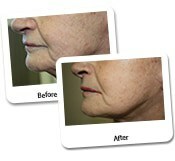 The mini facelift procedure uses the tumescent liposuction technique, which Dr Lanzer brought into Australia in 1992. 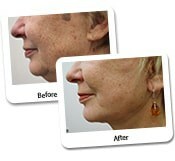 Tumescent fluid can be used to treat various facial areas during a mini facelift. 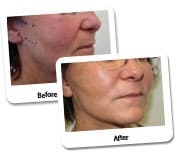 Tumescent fluid causes closure of the small blood vessels, so there is almost no bleeding and good visibility of the lax muscles of the cheeks that require tightening by the cosmetic surgeon. The fluid is also antibacterial, which reduces risk of infection. 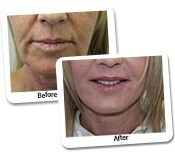 Does the Mini Facelift Require Suture Placement? 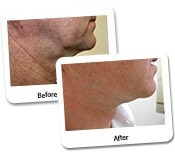 Very strong sutures are placed in the muscles of the face and neck. Dr Lanzer analyses the vector of the face to pull the muscle in the direction that gives the most natural and dramatic lift. The advantage of placing muscle sutures in the neck and face is that the jawline becomes very defined, as can been seen in the above photos. 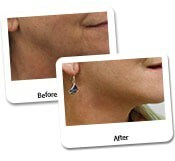 The excess skin is surgically removed and very fine dissolvable sutures are placed around the ear. 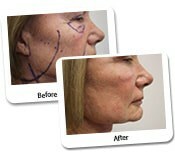 Does a Mini Facelift Leave Any Scars? 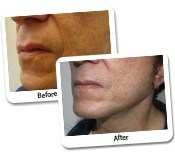 With the Mini Facelift procedure, the scar stops behind or near the ear and does not extend into the hair of the scalp. Also, the undermining and lifting of the facial skin is only in the first five centimetres in front of the ear. 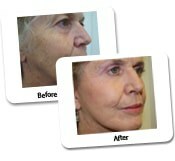 It is very hard to predict how long a facelift will last. 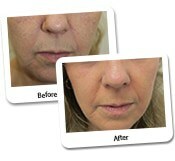 Everybody ages at a different rate and both genetics and facial movements play a role. 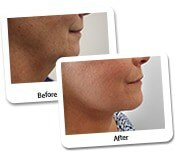 What Can You Tell Me About the Mini Facelift Featured in the Above Case Study? 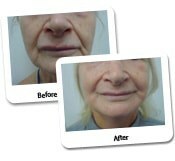 Notice in her photograph that the downturned (sad) lip edge has been lifted with the facelift procedure. 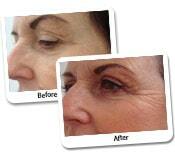 Some patients have very strong facial muscles with deep smiles and this line may return over time. 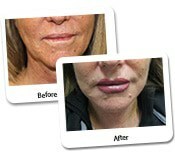 Please note that the lady in this case study had lipstick on when the photographs were taken. 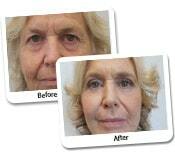 Makeup is a very important part of cosmetic facial surgery, as it enhances the results. 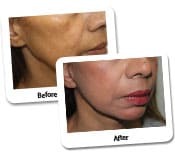 Dr Lanzer has been performing laser resurfacing for over more than twenty years and many patients complain that makeup enhances wrinkles rather than covers them before surgery. 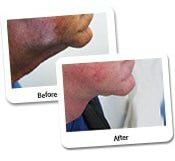 After surgery, it is just the opposite, and it will also protect the skin from further sun damage. 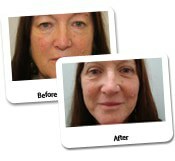 How Should I Interpret the Before and After Photographs for the Mini Facelift? 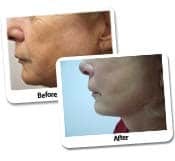 On the Dr Lanzer Clinic website, prospective patients can find a lot of before and after photographs of patients who had their facelift at our clinic. 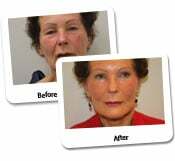 While these examples give you some insight of what you could expect from a facelift procedure, it is certainly no guarantee that you will obtain the same result. As a patient, it is important to realise that your body and face is unique; this also means that the results you will obtain from a cosmetic procedure will be unique too. Therefore, it is impossible for a patient to determine their result based on before and after photographs on the internet. To get a better picture of the effect a facelift might have on your appearance, it is always best to speak to a cosmetic surgeon. Most cosmetic surgeons have special software available that enables them to show you how your face will look after a certain procedure is performed. Even though this is still an estimate, it does give patients better insight into the possibilities of their treatment. So, if you would like more detailed information about a facelift procedure you are considering, be sure to make an appointment with your cosmetic surgeon to obtain the appropriate information. 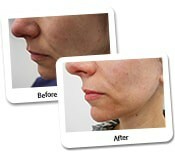 View more mini face lift procedure photos Above.